Nariman Niktash, MD, has been practicing medicine in Florida since 2009. He completed residency in internal medicine at St. Luke’s Hospital in Chesterfield, Missouri. 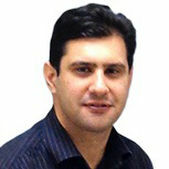 He received his Doctor of Medicine degree from the Islamic Azad University in Tehran, Iran, and he is certified by the American Board of Internal Medicine. Dr. Niktash has served as a hospitalist throughout his entire medical career in Florida. He is a member of the American Medical Association and was awarded the Gold Star Physician at HCA’s Fawcett Memorial Hospital. He is married and enjoys tennis and traveling.